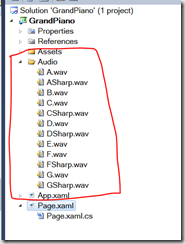 As you’d expect, Silverlight can already play audio and has been able to since day one via the MediaElement class which doubles up for also playing video. then it gets very hard very quickly. Further, if you need to have sound that responds with low latency then you run into more complexities and you can find lots of discussion threads out on there on the web (like this one) that talk about how you can try and achieve low latency playback via MediaElement but it’s a struggle. 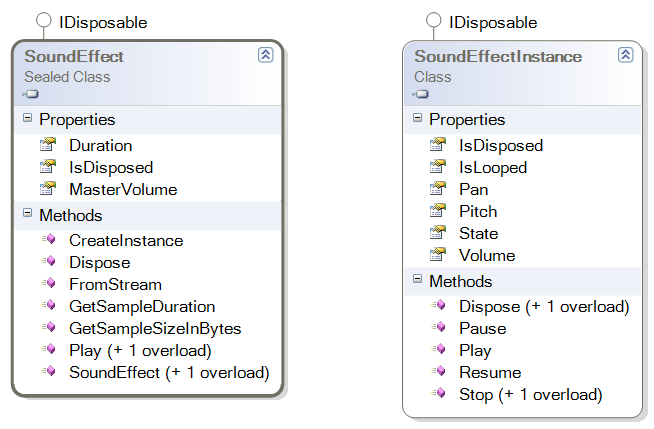 Silverlight 5 makes that easier by introducing a new way of playing audio via the “XNA” SoundEffect and SoundEffectInstance classes which offer a new, low-latency way of playing audio with options around the volume, pitch and looping. This sample was based around the MediaElement and you might notice some latency when you first hit a key on that piano with the mouse. Have more than one piano key pressed at a time. Be stretched (so I left it fixed sized). and so it’s a little clunky. when the application starts up I create a dictionary of SoundEffect for each note that we can play (note – I didn’t try to be clever and have just the one note and alter the pitch but that might be a smart move ). 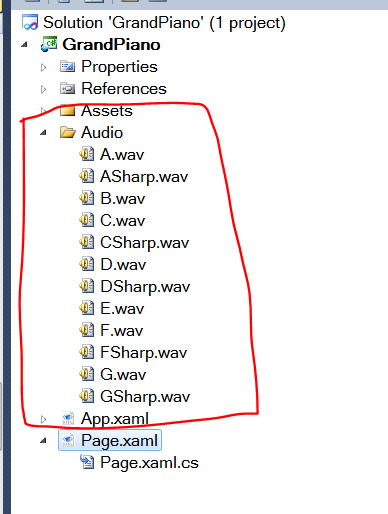 On line 13 I used SoundEffect.FromStream() to load up the relevant SoundEffect from the embedded WAV file in the resources of my assembly. Checking that we aren’t already playing the particular note. 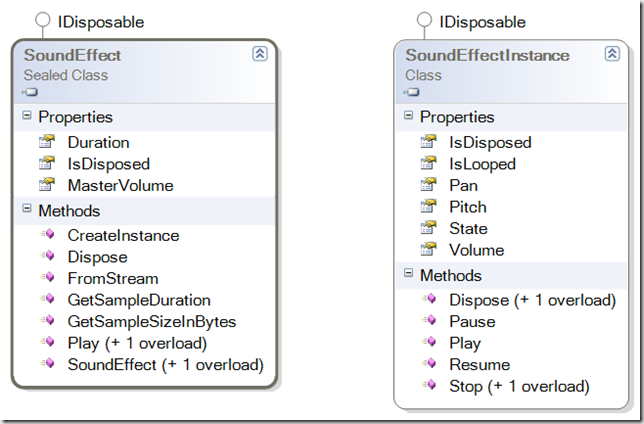 Using (one line 8) SoundEffect.CreateInstance() to make a SoundEffectInstance from my SoundEffect. Storing (on line 9) the SoundEffectInstance so that we could later Dispose() of it. Playing (on line 10) the sound effect instance. At some point, my user will take their finger off the piano key and I simply Dispose() of the SoundEffectInstance (or instances if they held down multiple piano keys) that was either still playing or had stopped. That’s not the only way to go – I could keep the instances around and re-play them and so on but it suited my logic here. The mouse. Left button down starts the play and left button up disposes immediately so if you don’t hold the mouse button down you’ll get a short note. Touch – I’ve only got 2 touch-points on my monitor here but that seemed to work reasonably. Note that if you double click on the label at the bottom and go full screen then you’ll find that you lose touch support and keyboard support in the browser. The source code is here for download if you want to poke around yourself. Note that it’s all “code behind” as it was put together quickly.